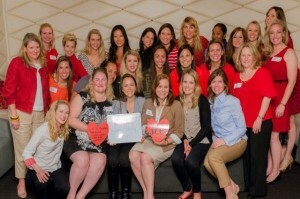 History of JL Boston - The Junior League of Boston, Inc. The Junior League of Boston (JL Boston) was established in 1906 by young women interested in becoming volunteers trained to address the community challenges and needs of Greater Boston. For more than 100 years, our members have been working as volunteers to build a better community in Boston. 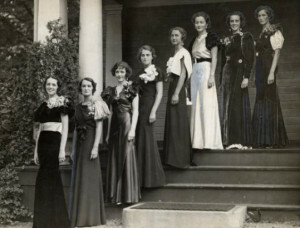 It was the tradition in Boston at that time for a sewing circle to be formed each year by invitation only to the debutantes of the season. Originally created to sew clothing and bandages for Union soldiers during the Civil War, these sewing circles had become purely social groups by the turn of the century. In 1906, one of the young debutantes by the name of Sarah Lawrence (not she for whom the college is named) felt it was time for Boston’s sewing circles to be more useful. Following several months of discussion, the sewing circles of old joined together to form a group based on the model of the Junior League of the City of New York to interest young women in the social problems and needs of the greater Boston Metro community. An annual lecture series was initiated and was eventually held in the Hotel des Tuileries. The speaker series included such distinguished speakers as Dr. Richard C. Cabot, founder of Social Service, President Charles W. Eliot of Harvard, Booker T. Washington, Jane Addams of Hull House, a drama professor, a warden of Sing-Sing, William Cameron Forbes, former governor of the Philippines and the Honorable William Taft. In addition to the lecture series, the older members divided themselves into committees, and began placing volunteers in social service agencies. A visiting committee was also formed which sent members out to visit the sick and aged. The sewing circle also created an entertainment committee which was comprised of music and drama sections. Their performances were quite successful in bringing enjoyment to their audiences, many of whom were children. A literary committee was formed for the purpose of reaching members who could not be quite as active as others. The members of this group were required to meet twice a year and read at least one book on the social and industrial problems occurring at the time. In the early summer of 1908, the Sewing Circle gave its first charitable contribution of $100 to the Instructive District Nursing Association (IDNA). On October 25, 1916, by formal vote, the Sewing Circle League became the Junior League of Boston, and by spring of 1917, JL Boston had contributed $1,800 to five different charities, including IDNA, Boston Children’s Aid Society and the Social Service Department of the Boston City Hospital. While the early years of JL Boston focused on assisting in hospitals, Christmas projects and entertainment for children, the group continued to grow and adapt to the needs of the greater Boston area. In the 1930’s economic difficulties, JL Boston raised money for relief funds and unemployment assistance. During World War II, JL Boston members assisted with the war efforts, and in the 1960’s, JL Boston produced a film nationally recognized for its contributions to public understanding of the mentally challenged and the Guide to Boston for the Handicapped. In the 1970’s JL Boston established and managed a child abuse center for the Massachusetts Welfare Department. In the 1980’s and 1990’s, JL Boston focused its attention on empowering women and promoting the arts. One of the most powerful programs launched during this period was the Good Grief program, assisting children to cope with death, which eventually was turned over to the Boston University School of Medicine. JL Boston also founded WIRE, the Women’s Informational Referral and Educational Service. The program included a van that toured neighborhoods distributing educational materials on area services to women all over the city. The Junior League of Boston is now part of the Association of Junior Leagues International (AJLI), an organization of 291 Junior League chapters in four countries. This organization is composed of more than 140,000 dedicated and creative women members from varying backgrounds and interests, who share a commitment to volunteering. JL Boston’s membership began as a progressive, motivated and dedicated collection of trained female volunteers, and today, we honor these roots, and continue their legacy. We believe that the women of today’s Junior League are unstoppable. Additional records of the Junior League of Boston, ca.1907-2010: Archived with the Schlesinger Library by the Junior League of Boston between 1999 and 2011.